The Industrial Radical Is Here! 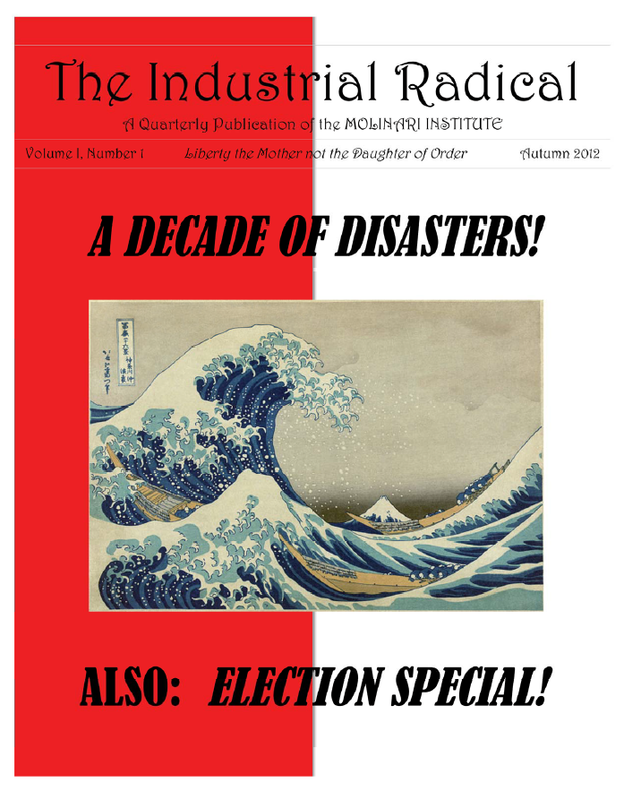 The first issue of the Molinari Institutes long-awaited periodical, The Industrial Radical (or iRad for short), is complete and in the process of being printed, and will be available for distribution in October. I just approved the cover proof. The Industrial Radical will debut at the Molinari/C4SS booth at Libertopia in San Diego next month. Contributors to issue #1 include Kevin Carson, Gary Chartier, David DAmato, Phil Jacobson, Charles Johnson, Ben Kilpatrick, Tom Knapp, Sheldon Richman, Darian Worden, and your humble correspondent. 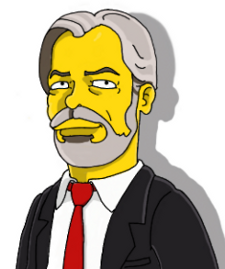 Want to help us bring The Industrial Radical (along with Markets Not Capitalism and other FM@C literature) to the eager throngs at Libertopia? Contribute to our transportation expenses and exhibitors booth fees at our ChipIn page. Want to express your implacable opposition to everything we stand for? Buy an enormous stack of The Industrial Radical and hold a public burning! We promise not to complain. 12 Responses to The Industrial Radical Is Here! Then I’ll make sure to start a local anarchist hearsay book burning! Prepare yourself for massive profits at the expense of your ugly publication Roderick! I think it’s pretty obvious that the author is referring to the only one who will keep campaign promises: nobody. But if they’re all jokes, then that means Romney or Obama would be acceptable, by your rules? Getting a meaningful periodical together is no small feat. Congratulations to all involved! They’ll really get iRate when they hear about our FMACbook Pro. This is great. But shouldn’t you have an online version? Or will you? There will indeed be an online version.